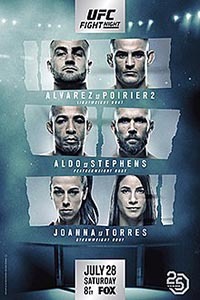 Jose Aldo was being counted out by many fans and media heading into his UFC on FOX 30 co-main event bout against Jeremy Stephens. The former UFC Featherweight Champion surprisingly closed as the underdog for the bout against Stephens, a near .500 fighter, and much of that was due to Aldo getting knocked out in his last two fights by Max Holloway. With so many people counting him out, Aldo went out and put on arguably his best performance in years, as he survived an early flurry by Stephens to storm back and brutally knock out his durable opponent with a body punch and strikes for his first victory since a decision win over Frankie Edgar in July 2016. Aldo is officially back. Considering the run Stephens had been on, with three straight wins -- over Josh Emmett, Doo Ho Choi, and Gilbert Melendez -- and considering the three knockout losses that Aldo suffered in his previous four bouts (albeit to Holloway and Conor McGregor), you can see why there were those (including myself) who thought Aldo was on the decline, while Stephens was on the upswing. Well, clearly strength of opposition is an important factor in MMA, and Aldo showed in this fight that being knocked out by studs like Holloway and McGregor doesn't say much about someone's chin or level of decline. 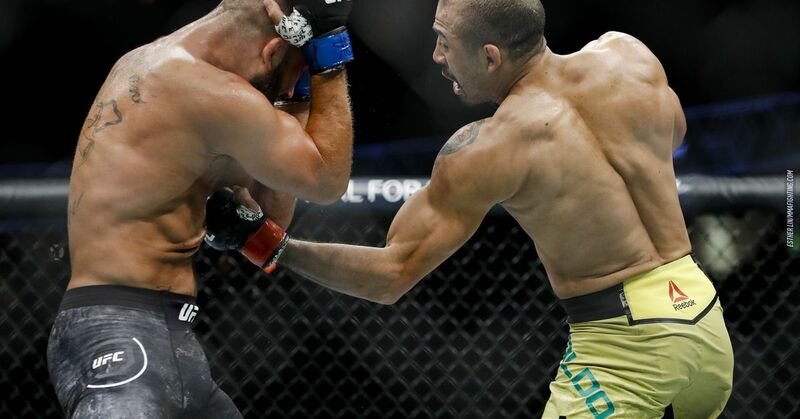 This knockout win by Aldo over Stephens was absolutely outstanding, and hopefully a reminder of how special of a fighter Aldo has been over the years, as well as a reminder of how good he still is. 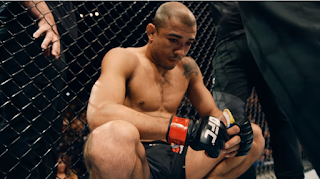 But with the two losses to Holloway still in his rear-view mirror, Aldo won't be getting a title shot anytime soon. Holloway is still the titleholder and needs to fight #1 contender Brian Ortega first. But there are definitely some other good fights for Aldo. Despite being 2-0 against both Edgar and Chad Mendes, trilogy matchups shouldn't be completely ruled out at this point, given the UFC's recent matchmaking patterns. Aldo against the winner of Renato Moicano vs. Cub Swanson works as well. Aldo against Alexander Volkanovski would be good. Heck, if Aldo really wants to get creative, he could always move up to 155 lbs and see how he fares as a lightweight. But regardless of weight class, there are lots of fun matchups for Aldo out there, and I'm excited to see who the UFC matches him up with. The matchmakers really can't go wrong booking him against anyone in the Top 15. When you talk about the greatest MMA fighters of all time, Aldo would have to be in consideration for the Top 10 list. He has one heck of a resume, with a 27-4 career record, including a tidy 9-3 record in the UFC, with 11 of those 12 bouts being title fights. 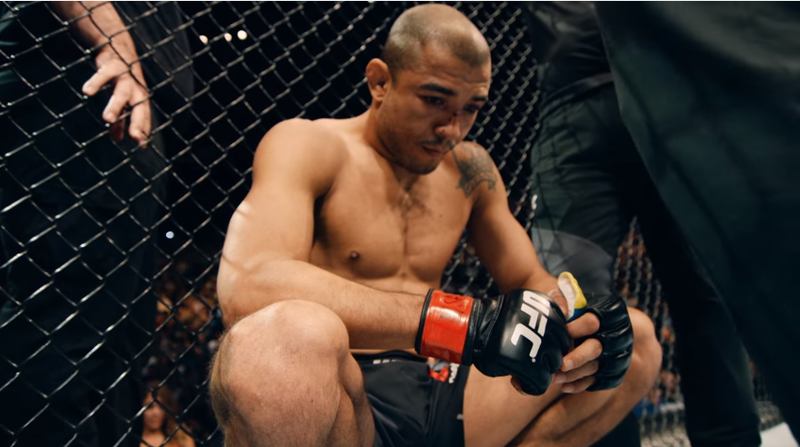 Aldo has fought and defeated the majority of the top featherweights in the world, and he's been doing it for a decade. 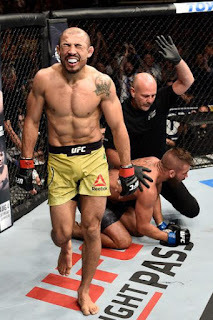 Even when we thought he might have finally started to decline, he stepped into the Octagon and shut the doubters up with a brutal knockout win over Stephens that reminded us why we fell in love with Aldo in the first place. Just when we thought Aldo wouldn't have it in him to make another title fight, he goes out there and becomes just the second man to finish Stephens with strikes. He's an amazing fighter, one of the best to ever do it, and he's not done just yet. UFC on FOX 30 was just a reminder.